New Jersey B2B at its best – Impact Consulting Enterprises has signed a deal with Suven, Inc., a Monmouth Junction, N.J.-based pharmaceutical company, to promote the launch of a clinical drug trial for a promising new Alzheimer’s disease medication. SUVN-502 could bring hope to millions of Americans living with Alzheimer’s disease. We want everyone who qualifies for the trial to participate. Impact Consulting Enterprises, a strategic communication, marketing and public relations firm based in East Orange, N.J., has signed a deal with Suven, Inc., a Monmouth Junction, N.J.-based pharmaceutical company, to promote Suven’s launch of a clinical drug trial for SUVN-502, a promising new Alzheimer’s disease medication. The drug trial recently began at New Jersey-based testing sites in Mercer, Monmouth and Ocean counties. Other testing sites across the country can be found on the company’s website at http://www.suvn502study.com. Suven is seeking people ages 50 to 85 who have been diagnosed with moderate Alzheimer’s and who are taking two standard medications for the disease - donepezil and memantine/Namenda XR®. The clinical testing is designed to examine the efficacy of SUVN-502 on mental abilities impaired by Alzheimer’s. Scientific research has shown that people with Alzheimer’s have decreased levels of acetylcholine, a neurotransmitter in the brain essential for processing memory and learning. 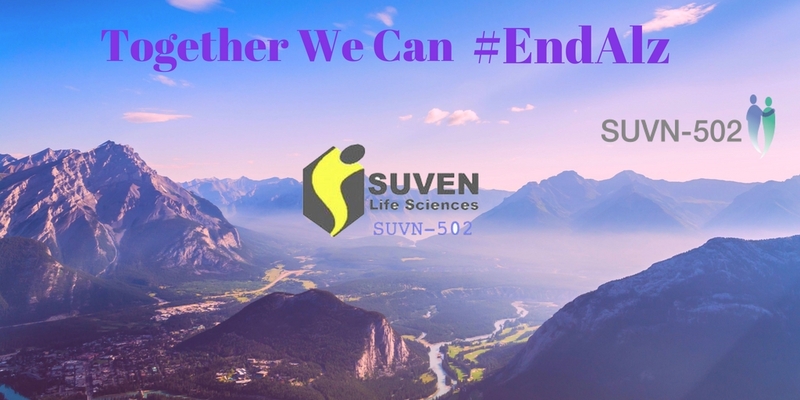 “SUVN-502 directly stimulates the production of this vital chemical [acetylcholine],” said Dr. Jeffrey Apter, medical director at Princeton Medical Institute and a member of the New Jersey Alzheimer’s Association Scientific Advisory Committee. Dr. Jeffrey Apter, one of the investigators in Suven’s clinical trial, said research on new medications is essential since no new drug has been approved for Alzheimer’s in more than 20 years. “SUVN-502 offers a new mechanism to enhance drugs like Aricept when all the acetylcholine in the brain is no longer present for Aricept to work,” Apter said. More than 5 million Americans, including 170,000 in New Jersey, are living with Alzheimer’s disease, a progressive brain disorder that slowly destroys memory and thinking skills, according to the Alzheimer’s Association. Alzheimer’s has no current cure, but treatment for symptoms are available and research continues. Interested individuals, caregivers or physicians can visit http://www.suvn502study.com to pre-qualify themselves, loved ones or patients for participation. People may also call Impact’s offices at 973-337-2028 or the Princeton Medical Institute at 609-921-6050 for additional information. Impact Consulting Enterprises is a minority- and woman-owned strategic communication, marketing and public relations firm. McCants was recently named as one of the country’s Top Women in PR by PRNews, as well as one of the Top 25 Leading Woman Entrepreneurs in New Jersey by Leading Women Entrepreneurs of Clinton, N.J.